Drapery is one of the most sought after window coverings today. Custom drapery allows you to create the perfect window fashion for your needs. With variations in style, fabric, decorative trims, and hardware there is an almost endless array of design options. Our consultants will design any room and make it the most extraordinary space in your home. Having experience with homes ranging from formal to casual styles, Window Treats can offer assistance within any style you desire. 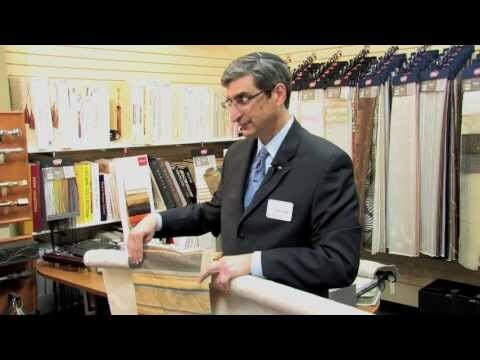 Watch Elliot Laniado, Owner Explain "How to Avoid Drapery Nightmares"
This Drapery Series provides you an insight on how designers learn about working with fabrics and introduces you to useful drapery terminology. Elliot Laniado, owner of Window Treats Inc., delivering a presentation to ASID designers. In this presentation he discuss the importance of setting expectations between the designer and the client. He also discusses some of the major issues to think through when designing a custom window treatment. He then finishes this section with an overview of Roman Shades, and shows the different styles and features. Elliot Laniado, owner of Window Treats Inc., delivering a presentation to ASID designers. 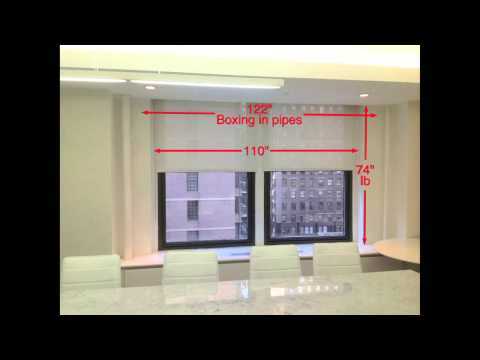 In this video he discusses tips and lessons for proper measuring. What should be noted in the room, is there an air conditioning vent or pipes? How much higher than the window should we hang the shade or drapery? What are the rules of four? Why are those rule crucial to proper measuring? Elliot Laniado, owner of Window Treats Inc., delivering a presentation to ASID designers. 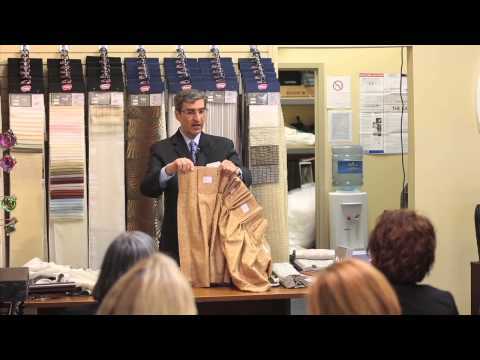 In this video Elliot answers questions such as: How do fabrics drape differently? What should I keep in mind when using a particular fabric? How do I know if I need lining and/or interlining? How do i figure out how much fabric I will need to cover my window? Elliot Laniado, owner of Window Treats Inc., delivering a presentation to ASID designers. In this video Elliot discusses some of the different types of drapery pleats and where each type of pleat can and should be used. He also gives some tips and creative ideas. Near the end of Part 5 Elliot continues to discuss the fabrication of drapery and some tips on measuring for pleats. Elliot Laniado, owner of Window Treats Inc., delivering a presentation to ASID designers. In this video Elliot defines what railroading a fabric and off the roll means and why it is so important to know. He offers an important tip on how to make sure that when making a drapery the plaids match up. Stop by our Red Bank Gallery showroom to discuss your drapery project and browse through our extensive fabric library. We also serve towns throughout New Jersey including Middletown, Holmdel, Rumson, Colts Neck, Fairhaven, as well as Brooklyn, NY. Please contact us for more information about our draperies, fabric and trim collections or to schedule an appointment.